Protecting Your PC From Catching A Virus (Not that kind of virus) Is Insanely Easy. The easiest thing to do is to put good anti-virus software on your computer. The average anti-virus program will cost you anywhere between $40 and $60 a year. Anti-virus software that is updated on a regular basis can protect your computer from all kinds of nasty things like Viruses, Worms, Malware and Trojans. Unfortunately, anti-virus software is not always enough. You may need a good Ad blocker / Anti-Spyware program if they're not included with your anti-virus software. Some of the well known programs are: Norton AntiVirus by Symantec, McAfee AntiVirus, and AVG AntiVirus. If you need an ad blocker or anti-spyware program these are highly rated: Ad-Aware by Lavasoft, and Webroot Spy Sweeper. In order to prevent disaster and protect yourself when shopping online make sure everything is secure: Does the site have an SSL certificate; does the page go secure before you enter your credit card or any personal information? How do you tell? In simple terms, a SSL certificate scrambles your information so it can travel safely, without being stolen, from your personal computer to a website where it is unscrambled for the website to use. An SSL certificate is like that portal thing on Star Trek. Imagine Spock when he dramatically steps up onto the platform and stands there for a moment before the lights comes, then his particles get all broken apart and crazy and he doesn’t look like Spock anymore because he just looks like light and particles, then he arrives totally fine and unscrambled on some random moon where giant ewoks frolik in daisy fields. Amazing, right? Most people know to look for the lock at the bottom of the page. Looking for the lock is a great start, but you also need to look at the address bar at the top of your browser and make sure the URL says: HTTPS (the "S" means "secure") or https and the name of the website. Here's an example of how it should look: https://www.website-name.com or https://website-name.com The "https" and the lock let you know that that the page has gone secure, and that it’s safe to enter your credit card or personal information. Secure and Safe are not the same things. Imagine if Spock didn’t get scrambled when he traveled from one place to another. He’d just be floating through space, minding his own business, when some intergalactic lunatic spots him and takes him aboard their mothership where they hold him for ransom. Having a website that has not been vulnerability scanned is just like an open, exposed Spock, floating through space. The fact is that over 73%* of all websites have vulnerabilities or security holes that hackers can use to modify or harvest data from the site. 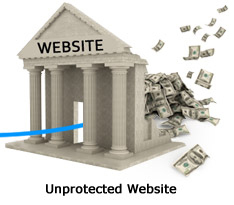 Most merchants believe their sites are safe when the reality is that most are not. In the past few years alone dozens of multi-million dollar companies have been hacked. Website security is so important that Visa, MasterCard, Discover and American Express formed the Payment Card Industry Council also known as the PCI Council to help protect customers from credit card theft and identity theft while shopping online. The good news is that the PCI Council is requiring PCI scans on all new websites that accept and process credit cards. This PCI scan or Website Security scan looks for thousands of vulnerabilities or access points. Once the website is scanned, a report is produced and given to the website owner so that they can correct the vulnerabilities or close the security holes, protecting the website and you from outside attacks by Hackers, Trojans and Worms. Unfortunately, PCI Compliance can be complicated and many merchants wait until it’s too late. We’re here to make security easy on you though, so you never have that problem. Look For A Trust Seal When Shopping Online. When you’re shopping online, look for a Trust Seal on the homepage. If you see a seal, you know that the business is legit and secure. A scanned site is a safe and professional site. If you don’t see a Trust Seal, email the company’s customer service and ask them why they don’t have security scanning. Tell them that security scanning is awesome, and that Trust Guard’s service is ninja-awesome. They’ll understand. Make Sure the Seals are Real. Believe it or not, there are some really weird website owners that will copy a trust seal and stick it on their website. They they know it will help increase buyer confidence and sales (but they’re too lazy to actually quality for the seals). They always include a form of the website or companies name inside the seal, this makes it harder to copy. It will also say; Passed with today's date, or Valid Thru a future date. Drag your mouse over the seal and hold it there. Now look at the bottom of your browser window. You'll see it shows a URL that starts with https://secure.trust-guard.com. When you click on the seal its self, it should open up a new window that has a URL that starts with https://secure.trust-guard.com in the address bar at the top of the browser window. 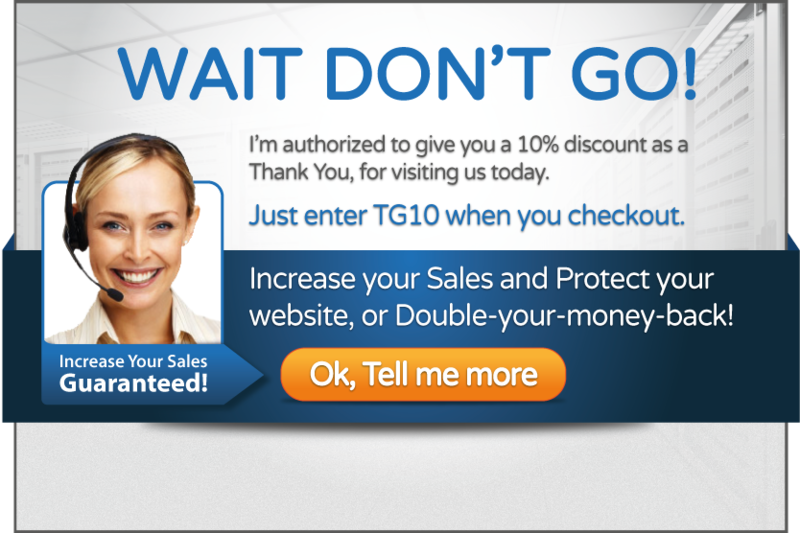 And it should also have the trademarked Trust Guard logo at the top of the page. Got a website? Secure it with Trust Guard Security Scanned, and start building more trust and make more sales by displaying the Security Scanned seal. Blam!